Amylulita says...: BERLIN FASHION WEEK w/ Spanish avant-garde designers potipoti! BERLIN FASHION WEEK w/ Spanish avant-garde designers potipoti! Berlin Fashion Week is around the corner and one of my fav Spanish fashion designers rooted in Berlin potipoti have a special fashion video premiere. Wish I could be there! For those of you in Berlin or people who have friends in Berlin, you should definitely go check this out. Just take a look at some of their work. 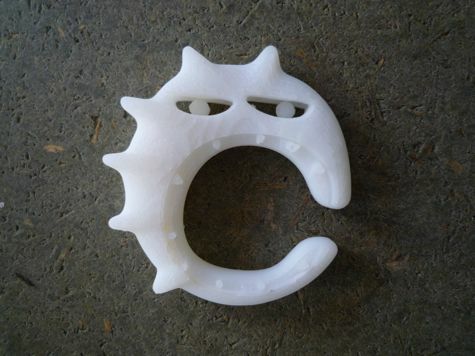 potipoti is a collaboration between two designers, Silvia Salvador and Nando Cornejo. 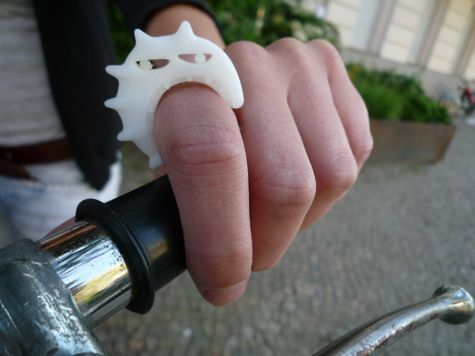 Operating from Berlin(Germany) and Spain, potipoti creates fashion, graphic design, visual arts and product design. The story of this duo begins in Salamanca, a university town in Northern Spain where both were graduating in Fine Arts. After working in Madrid as art directors for various studios, they moved to Berlin in 2001, which has been their home base ever since. The studio-label potipoti was founded in 2005. 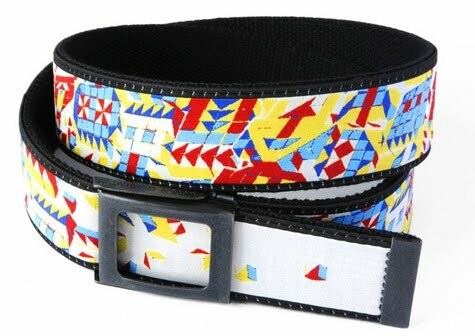 Their distinctive aesthetic for graphics is reflected in their fashion designs. Collections have been shown in various exhibitions and catwalks around the world. 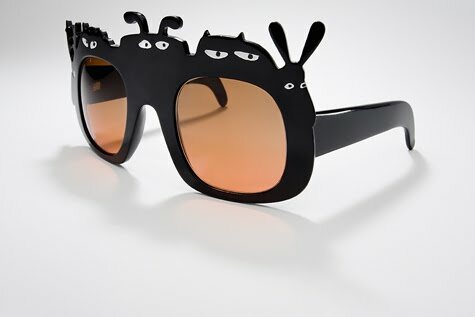 They have worked in partnership with companies such as Mazda or General Optica, developing diverse projects like a complete collection of eye-wear as a result of the IV Contest of Upcoming Designer "Linea De". 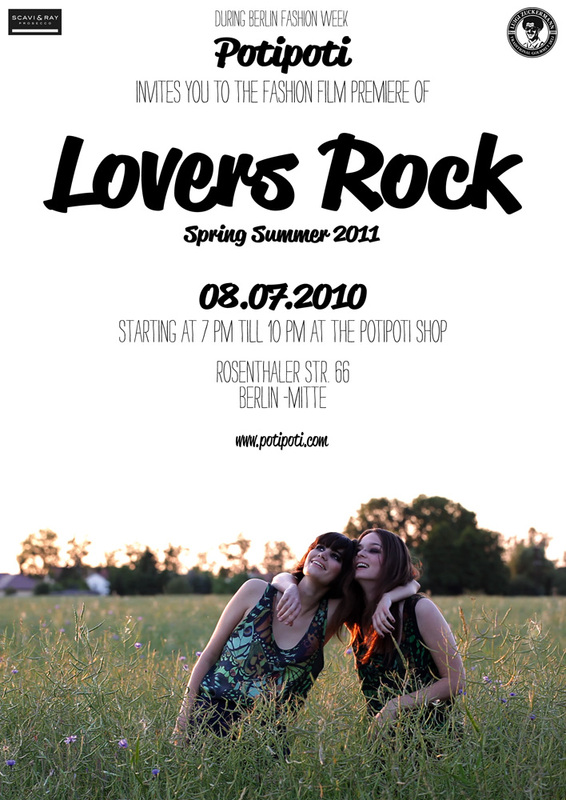 and the presentation of the new spring/summer collection 2011 "Lovers Rock" on July 8th 2010 starting at 7 pm till 11 pm at the potipoti Shop. For this video Potipoti have collaborated with the art director Jose Salas from Machines Désirantes and the spanish electronic pop artist anti.